The international bestselling romantic comedy "bursting with warmth, emotional depth, and...humor," (Entertainment Weekly) featuring the oddly charming, socially challenged genetics professor, Don, as he seeks true love. Arrestingly endearing and entirely unconventional, Graeme Simsion's distinctive debut "navigates the choppy waters of adult relationships, both romantic and platonic, with a fresh take (USA TODAY). 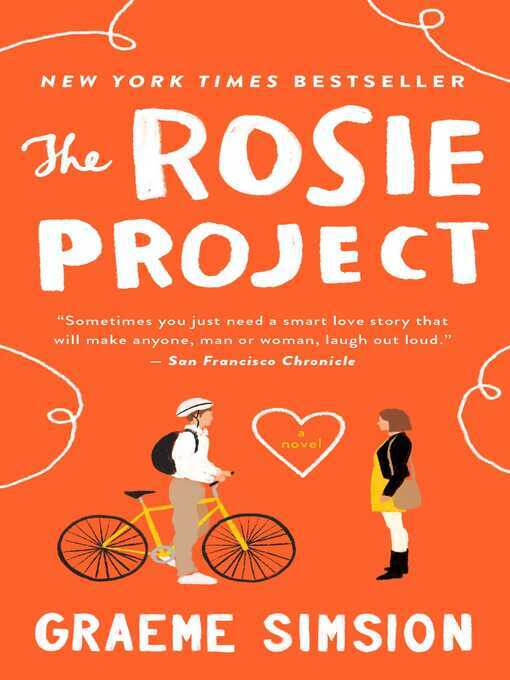 "Filled with humor and plenty of heart, The Rosie Project is a delightful reminder that all of us, no matter how we're wired, just want to fit in" (Chicago Tribune).